As our client, you benefit from a team of dedicated professionals whose approach is always client centered. When we say we put clients first, that means everything from returning your phone calls promptly, to finding the answers to your questions, as well as identifying your financial needs and helping to pursue those needs with creative strategies. The professionals at ITI Strategies provide their clients with customized strategies for their wealth management needs. We do this through a process of regularly scheduled meetings which track the progress of our client's financial plans and portfolios. ITI Strategies prides itself on building long-term client relationships based on mutual trust, respect, and integrity. 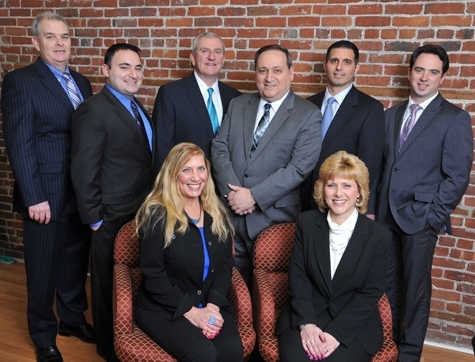 Our staff of seasoned CPAs and CERTIFIED FINANCIAL PLANNERS™ is committed to implementing tailored retirement and estate strategies that take advantage of available tax strategies. This, coupled with our high level of investment scrutiny, delivers a framework to help our clients gain confidence in their financial future. Our goal is to develop today's plan for tomorrow's dreams. Our vision is to be a premier investment consultant to our clients. We believe that estate planning, tax planning, and financial planning are fully integrated with one another. That is why we employ specialists in each one of these areas which can help our clients to truly benefit from holistic wealth management. Whatever recommendations that the financial plan dictates, we work with the best interests of our clients in mind. ITI Strategies strives to maintain an excellent reputation by remaining a responsible company that makes a difference to our clients, businesses, and the communities in which we serve.